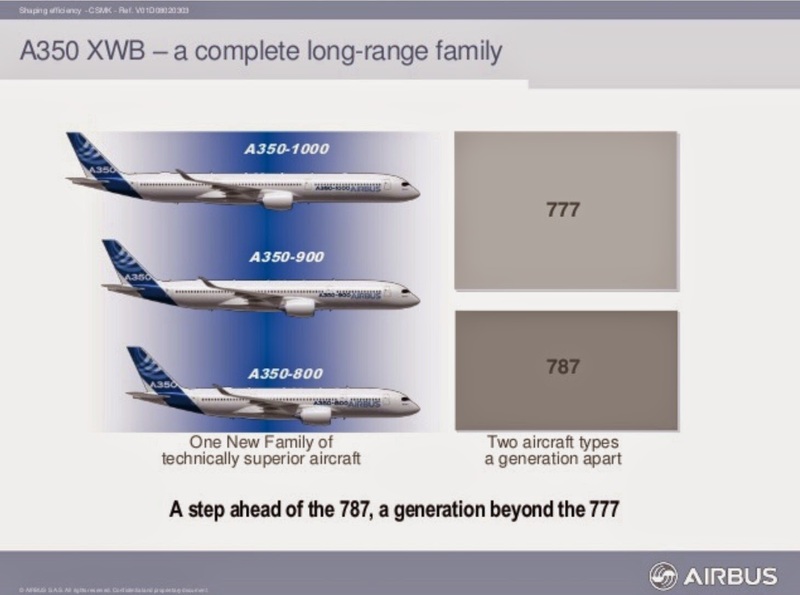 A350 XWB News: A350-1000 is the competitor for current 777. But neither A350-1000 nor A350-1100 are able to compete against 777-9X. What do you think about the A35J? Do you think it has a future with Boeing's wide body line up? In my opinion, the lack of new orders for the A350-1000 is a clear message from the airliners. 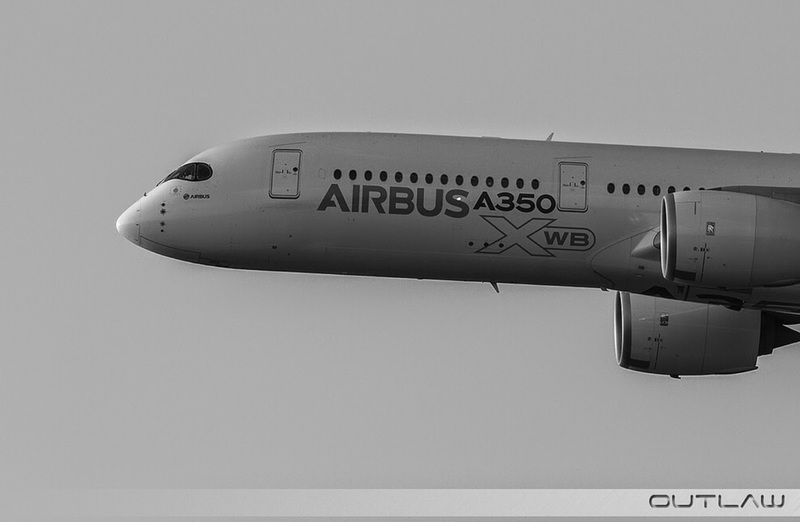 Let's wait the big Emirates-order in 2015 to know if the A350-1000 future is wide or narrow. This is by far the craziest and most biased article I've read in a while. It's all about spin. Another way of looking at this is that Boeing has no competitor for the A350 which will replace most 777-200 and 300ER's. There are many many more -200 ER's and 300 ER's to be replaced as opposed to be upgraded to a bigger 9X aircraft. The 9X will be a small market and most of those who were going to buy them already did. Even in the USA, the 300-ER hardly sold and the fact that Delta ditched the 777X is a tell tale sale. United also did not buy but went for A350-1000. 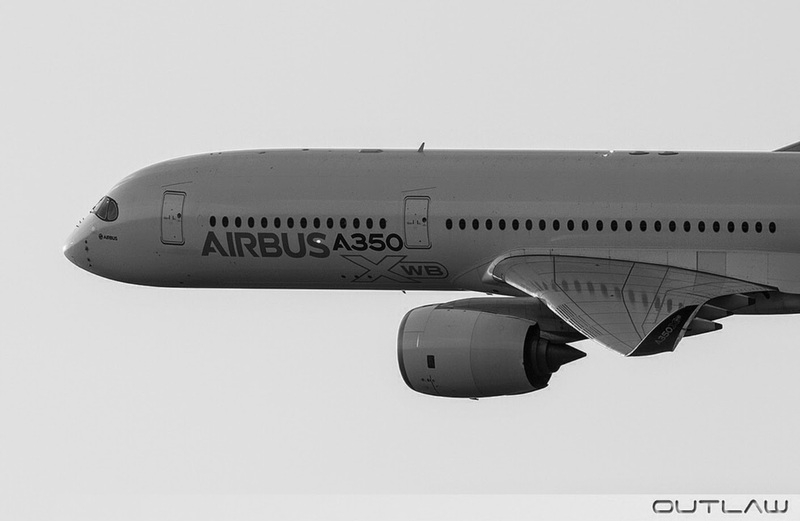 If Airbus decides to stretch to A350-1100 and put new engines on them, the 9X would be left in the dust. Maybe Emirates is waiting for just that. You never know that Airbus has under its sleeves, like the A321Neo LR in your face ambush "launch"
Maybe The A350 is already designed for extra fuel tanks and the modifications and engines for the -1100 have already been planned for but "paused" until the 9X is launched. That's how the game goes. It's wishful thinking to ponder if the A35J was designed with extra fuel tanks. Most wide body aircraft aren't designed with that in mind but I may be wrong. The 777x was never even considered by delta in the last rfp so.... A lot of people underestimate the market size for the 779. With an aircraft that size, you can take a fully loaded KE A380 and replace it with the 779 and make more revenue with the belly freight. That, not the prospect of the fictional A350-1100, is what would make customers pause and think. Also, UA was on the committee that designed the A35J. By default they weren't going to buy anything else but the A35J. The issue that Airbus has to grapple with is they have an A380 that needs an injection of sales to keep the program afloat after 2017 and don't interject with breaking even in 2015. No business spends 25 billion dollars to break even. The second is if they NEO the A380 and stretch it, say bye bye to the prospect of the A350-1100. Have to agree with Anonymous. Who needs to order A350-1000 now with more than 700 pcs backlog. Its better to see real figures from A350-900 usage and A350-1000 development. Even Airbus has some margin where to position possible 1100 later on, based on more concrete data from 777-9 development. For many airlines bit limited range will be no issue (transatlantic and intraasia traffic next decade). And we could see possible swaps between models when both in production as we withessed with A330 and B787. Whole nonsence is to compare 777x with A380 volume wise. In standard configuration the difference is still about 200 pax. More important is CASM which will be on edge with more flexibility on smaller plane. I try to include different "ways of looking". The 777-X was a reaction to the A350-1000 and the A330neo another movement by Airbus. Next year, in this chess game, it seems it is Airbus turn. Dhierin Bechai, the author managed also managed to write another flawed and biased analysis on the subject where he compared the fuel cost per seat mile -- and not CASM -- of the A350-100 and 777-9X, and concluded that the latter would beat the former. I responded with four lengthy comments and he seemed to be unable to debunk any of the counter arguments that I presented. ""So, in short, an A350-1000neo should equal the 777-9X on CASM -- which is bad news for a larger aircraft -- while a 10 frame stretched A350-1100X, which could have a A350-derived wing (larger both in chord and span), would beat the 777-9X in CASM by nearly 9 percent, and consequently, rendering it uncompetitive overnight. An A350-1100X could enter into service in 2023/2024, while the enhanced A350-1000neo could follow a year later."" So what you saying is that the A350 has to have a new engine to compete with the B777-9? If that is the case, then what stops Boeing from putting yet a even newer engine on the 777? It would be the never ending story. "So what you saying is that the A350 has to have a new engine to compete with the B777-9?" If you'd bothered reading my comments in the link provided above you'd see that what I was saying is that airlines typically will tend to go for (a) the lowest CASM and (b) the smallest package available at that CASM. If the CASM would be equal between the A350-1000 and 777-9X, then the former would nearly always come out on top. Hence, the 777-9X would not have had a business case if it just matched the A350-1000 on CASM. Using his figures, I calculated that an A350-1100 featuring a larger wing, derived from the one on the A350-100, and using both a chord-wise A340-500/600-type insert in addition to a spanwise insert -- including a foldable wing tip -- would beat the 777-9X on CASM by nearly 9 percent. Since the take-off thrust requirements would hover around the 100,000 lb of thrust class, that same engine would fit perfectly on an A350-1000neo. "If that is the case, then what stops Boeing from putting yet a even newer engine on the 777?" The 777-9X must have an engine that will have a 5 percent lower fuel burn than the engine on the A350-1000, in order to beat it on CASM. Enter an A350-1100 as outlined above and an A350-1000neo and its just about game over for the 777-9X. Its CASM advantage will be gone vs. the A350-1000 and will be resoundingly beaten on CASM vs. the dash -1100. Due to the 787 development and early production nightmares, Boeing's board chose to play safe on the 737MAX and the 777X. Half a decade ago they were still talking about an all new single aisle (NSA), or Y1, and the Y3 (747/777 replacement), and now on the 777X they are dependent on the GE9X engine providing 5 percent lower TSFC than the TXWB-97 engine on the A350-1000. That's the issue here. The 777-9X cannot EIS until 2020 due to the time required to develop the GE9X engine. It's certainly not the airframe that is slowing things down. However, technology is not standing still and an A350-1100X entering into service some 3 to 4 years later than the 777-9X will take advantage of further advances. Since that engine would also be a perfect match for the A350-1000, Boeing should expect that by 2025, the 777X engine TSFC lead will most likely have been reversed. Something that's going to be detrimental to further sales. So, it's a pretty risky strategy, to say the least. Umm, so an A350 family of jets (tree) where every one of them is different than the other, (Wings, landing gears and possibly engines?). If that's not a risky move, I don't know what is in the aviation business. You can say what you want about the B777, but one thing that airlines like it (other than its economy) is the huge underfloor space it has where they can put a lot of stuff (after passenger bags are loaded) and the ability of the airplane to actually carry that load without that much effort since it has such a big engines. "Umm, so an A350 family of jets (tree) where every one of them is different than the other, (Wings, landing gears and possibly engines?)." Engine for the A350-1100X: RR Advance-type engine, 100,000 pounds of thrust. Same engine for the A350-900neo and A350-1000neo. Derated, 84,000 pounds of thrust version for an A350-900neo. and 97,000 pounds of thrust for the A350-1000neo. E.g. engine for the A350-1100 would require about 20 percent more thrust than what is required on the A350-900, or about the same as the difference in thrust levels between the 787-8 and 787-10 (76,000 lbs vs. 64,000 lbs of thrust). The A350-900 and A350-1000 has a common wing. Only the trailing edge on the A350-1000 wing is slightly larger in area, or similar to the difference between the wing on the A320 and the A321. The wing on the A350-1100X would be greater in area and span, but would retain the leading edge of the A359/A35X and the trailing edge of the A35X, albeit slightly modified. The A350-1100X would have the same triple bogie main landing gear as the A350-1000. So, lots of commonality. In fact much more than what was the case with the 777-200ER and technologically more advanced 777-300ER; particularly in respect to the engines. Also, the latter more or less replaced the former, production-wise. With the A350-900, A350-1000 and A350-1100X things would be entirely different; same platform sharing the same level of technology with all frames being produced concurrently. "If that's not a risky move, I don't know what is in the aviation business." Well, if you're business is trying to spread FUD, then of course that's what you'd be saying. Any reasonably objective analysis, however, would likely come to an entirely different conclusion. "You can say what you want about the B777, but one thing that airlines like it (other than its economy) is the huge underfloor space it has where they can put a lot of stuff (after passenger bags are loaded) and the ability of the airplane to actually carry that load without that much effort since it has such a big engines." The problem is, though, that the A350-1000 has the same underfloor carrying capacity of 44 LD-3 containers as that of the 777-300ER. The heavier and shorter 777-8X will only have an underfloor capacity of 40 LD-3s, while the 777-8X will have a carrying capacity of 48 LD-3s on the lower deck. Now, a 10 frame stretched, A350-1100 would have a carrying capacity of 52 LD-3s on the lower deck. What someone is trying to say is that putting a new engine on a totally new plane (a successful one at that) after only six years in service is madness. Do you see that seriously happening (for the A359)? Even if that was the case, then Boeing can put just about the same engine, (smaller and lighter) for the B787 (after about 10 years of service), then what? another run to the finish to upgrade the A330 again? It is not healthy for a "duopoly" to try to be taking themselves out of business by spending so much money on something that might not have been needed after all. If Boeing is selling 1100 B787 and Airbus sells 1000 A330, who can potentially make more money? Again, an A350-1100X could enter into service in 2023/2024, while the enhanced A350-900neo and A350-1000neo could follow suit a year, or two later. That's a decade after the EIS of the A350-900 in January, 2015 -- and not 6 years as you're claiming. The 777-200ER was produced in "high volume" for no more than 10 years as you can see in the link below. Also, high-volume production of the 777-300ER won't last for more than 12-13 years. So, why would things be different for Airbus? Finally, this whole "debate" started with the premise that supposedly neither the A350-1000 nor the A350-1100 are able to compete against 777-9X. Why don't you address that silly claim instead of creating all sorts of "insurmountable obstacles" that Airbus has to overcome in order to stretch the A350-1000. The fact of the matter is that the 777-9X will be using an engine that will have a 5 percent lower fuel burn than the one on the A350-1000. in fact, Boeing is apparently betting on that delta in fuel burn will last as long as possible. Noe, just using the same engine technology on a 777-9XNG as what would be on an A350-1100X, would not make up for that 5 percent lower fuel burn which makes up a significant part of the business case for the 777-9X. Sure, Emirates and the other two large ME carriers are still buying wide-bodies in large numbers. However, that's not the case for most other blue chip airlines. If the 777-9X can't maintain its CASM advantage for long then IMJ, its sales prospects will be greatly diminished. Ahh, 2023, (Isn't the A350-1000 supposed to enter service in 2018?) I can only guest what that engine would do for the B789 and B787-10 in 2023. If that engine is about 10% better than the ones it is using now, imaging what it would do to the range and the "CASM" that you say is so important. I believe the B787-10 with that engine would be a true king on that regard, and with about 8000 NM range to boot. Now, the topic was not the 787. Why not try addressing the point in question? The Trent-XWB-97 engine on the A350-1000 is a relatively cheap development from the Trent-XWB-84 engine on the A350-900. It's got the same fan diameter and nacelle, same compressor, but a larger hot section (turbine). Since the external diameter of the engines are the same and the fact that the TXWB-97 engine is only slightly heavier, the extra costs for Airbus in certifying the TXWB-97 engine is going to be minimal. The pylon, for example, will be identical. Compare that to the GE90-115B engine on the 777-300ER. It was developed from the GE90-94B engine on the 777-200ER. Fan diameter increased by 5 inches thus requiring a new nacelle, revised pylon, an extra stage on both the low and high pressure compressor etc. Hence, the development of the GE90-115B was a very expensive undertaking. Only about 400 GE90-94B engines were ever built. There are now close to 1200 firm orders for the TXWB-84 engine and some 340 firm orders for the TXWB-97 engine. In comparison, total firm orders for Rolls Royce's most succesful large aero engine to date -- the Trent-700 -- is around 1600 units. So, even if the Trent XWB engine were to be replaced in its entirety by an all new "Advanced type" engine by the middle of the next decade, the Trent XWB would still have become the most sucessfull RR large aero engine up to that point. Remember, it's primarily engine innovations that power fuel efficiency. All of the recent revolutionary engine improvements are likely to be only the start of what is set to come over the next decades, namely a whole cascade of improvemenst in fuel efficiency. That's why the top airlines of the world won't be flying around with 30 year old aircraft as has been the norm among the majors in the US. As for the 787-10, please keep in mind that it's marketed 7000nm range is only per typical Boeing unrealistic assumtions (i.e. not realistic cabin weights etc). Hence, 7000nm range would only be possible with a new engine having some 10 percent less fuel burn than the current ones -- and that's for passengers and luggage only; freight not included. As for the 787 using the same engine as one being developed for an A350-1100 -- no, that's not practical. It would be too large and heavy. Both the 9x and the -1000 will be excellent aircrafts. Different airlines will have different needs. Like I mentioned earlier, the 900 and 1000 will make better replacement aircrafts for the A340's, 777-200, and 777-300ER than the 9X and 8X in terms of pax and range. It would be interesting to see how many more airlines will buy the 9X, 8x, and -1000. That might indicate a potential interest in an -1100. 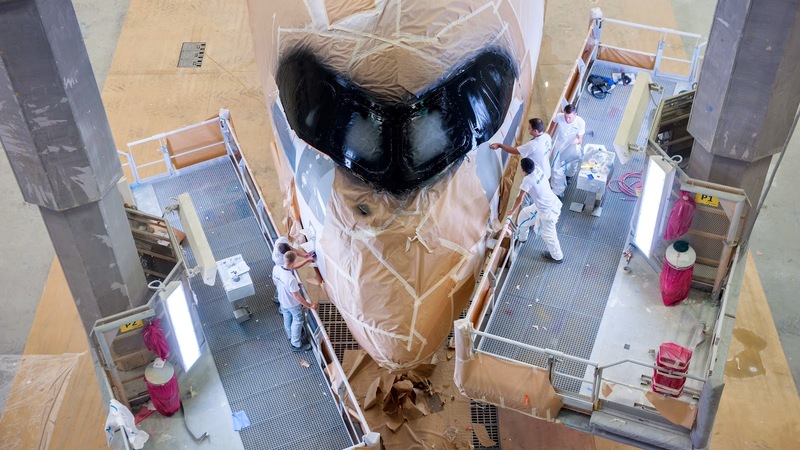 I think Airbus will bring out an A350-1100, as a simple fuselage stretch of the 1000 model. They are not yet ready to do so, for two reasons. The first is technical. 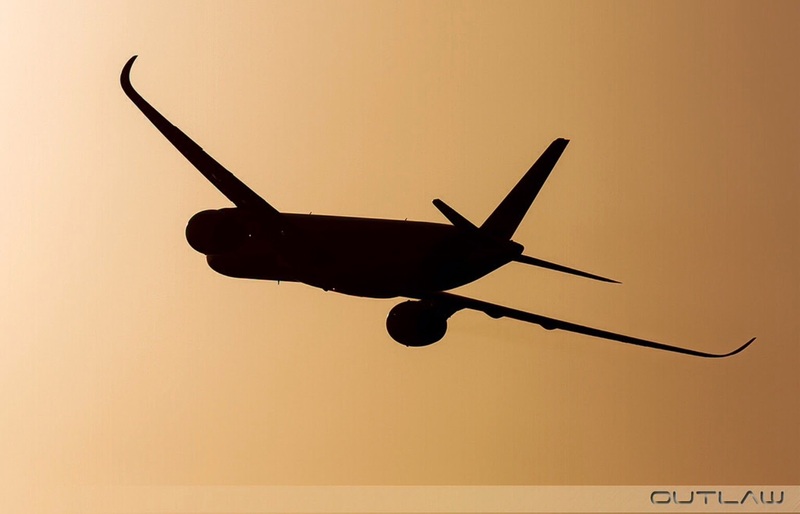 A stretch without other changes typically reduces range for a widebody by about 1000 miles, bringing the 1100 range to a nominal 7000 miles, which is too short for typical trans-Pacific flights. They need at least 7300 miles, which is what the 777-300ER started off with, and preferably 7500 miles. Once they have the 1000 in operation and sized up its actual performance, made the initial improvement program and brought out a higher MTOW version, they can evaluate what further changes are required to get to the 7300 or 7500 mile range. This may or may or not involve a new engine. The 1100 will then be the large widebody workhorse with the 1000 retained as a long range model. Airlines will buy the A350-1100 when they don't need the range and the 777-9X or the A350-1000 when they do. The second reason for holding back is commercial. The A350 is sold out until the early 2020's. There's no reason to incur the development cost earlier than you need to if you can't sell any more planes. Expect to see an A350-1100 in the mid 2020's.